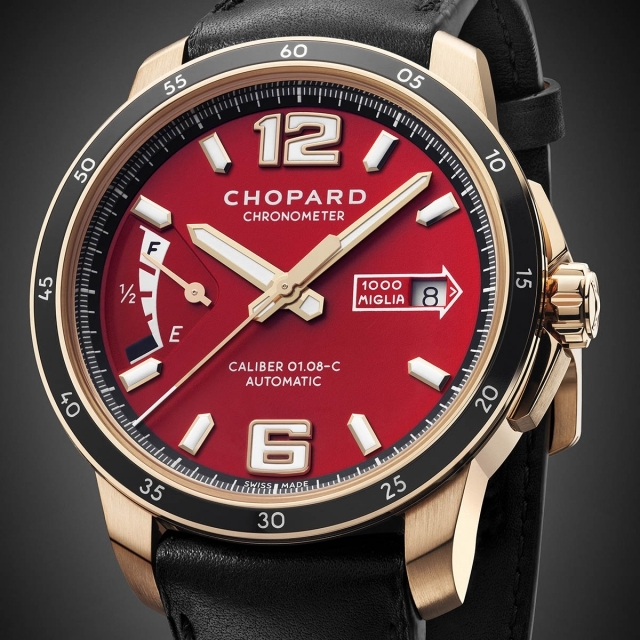 The Mille Miglia GTS power control by Chopard is presenting at Basel world by 2015. Your bracelet is modelled on a Dunlop Tire. The Mille Miglia is one of the most prominent classic car rallies in the world. This year in May the car enthusiasts are circling again in Italy. 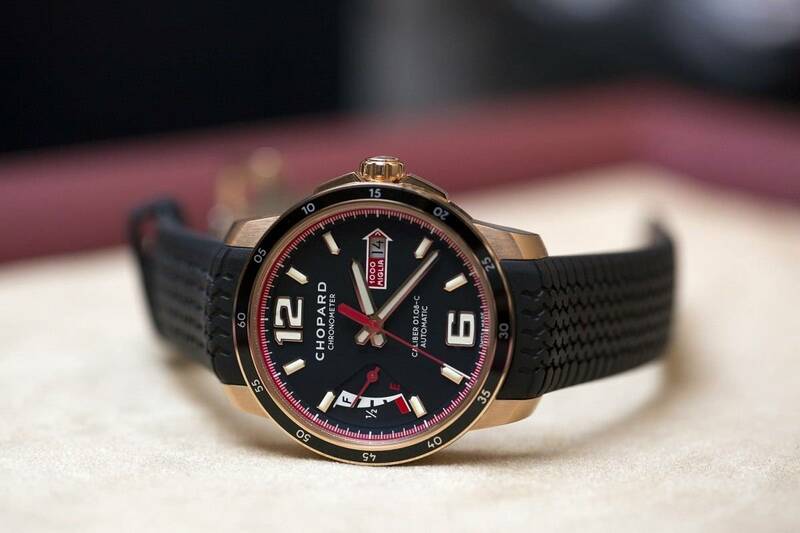 As the timekeeper of the famous race, the Swiss Watch and jewelry brand Chopard has already brought several Mille Miglia watches on the market.The BASELWORLD 2015, the Swiss of the new Mille Miglia GTS launch power control. In Brescia, in Northern Italy, the Mille Miglia begins (in German: “A thousand miles”) and brings you to Lake Garda, Marche and Abruzzo to Rome. All participants take part very valuable vintage cars. Chopard CEO Karl- Friedrich Scheufele is even classic car fan, appreciates in particular classic racing cars, and goes with every year at the prominent Mille Miglia. Since 1988, Chopard of now official timekeeper of the Mille Miglia is and this year is also the starting point of the Mille Miglia Watch collection, the Geneva-based luxury brand. TheBASELWORLD 2015 Chopard presents the new line of Mille Miglia GTS with three models: a chronometer with three pointers and date window, a timepiece with power reserve and a chronograph. 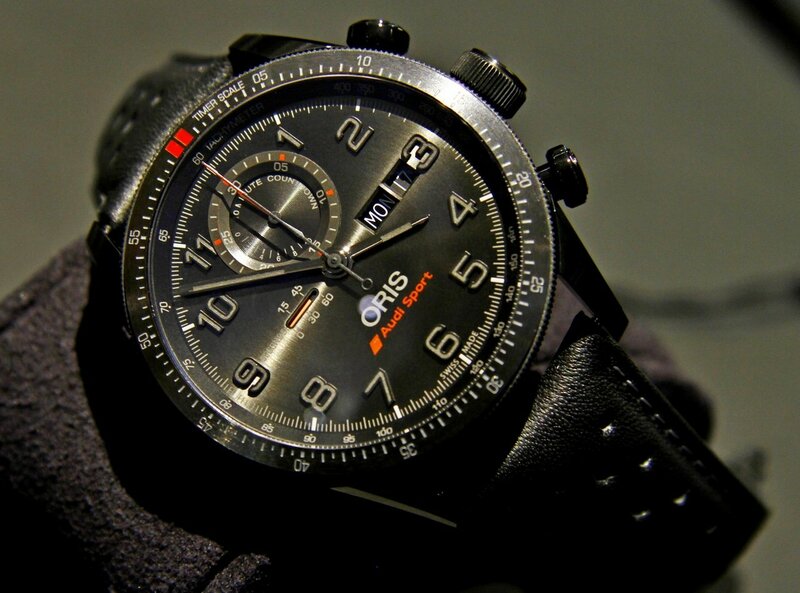 From the “Mille Miglia GTS power control” – so that version with power reserve – there are now advance pictures. 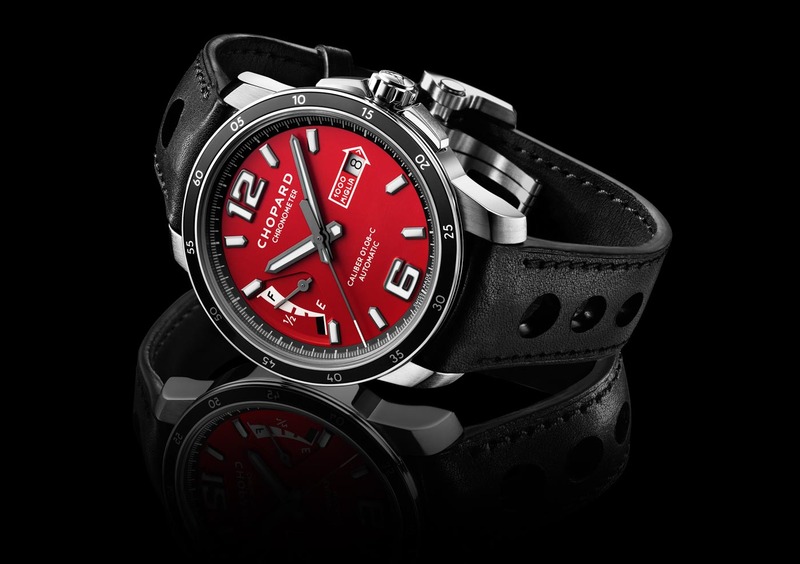 The new Mille Miglia GTS appear very sporty and masculine power control, their profiled rubber wristbands deliberately reminiscent of tires from cars, according to Chopard at the Dunlop tires of the 1960s. The dials do suggest the aircraft instruments in the racing cars from the 1940s and 1950s years and aimed at providing “Retro Flair”. The housing of the power control watch sporting 43 mm in diameter and is made of stainless steel. 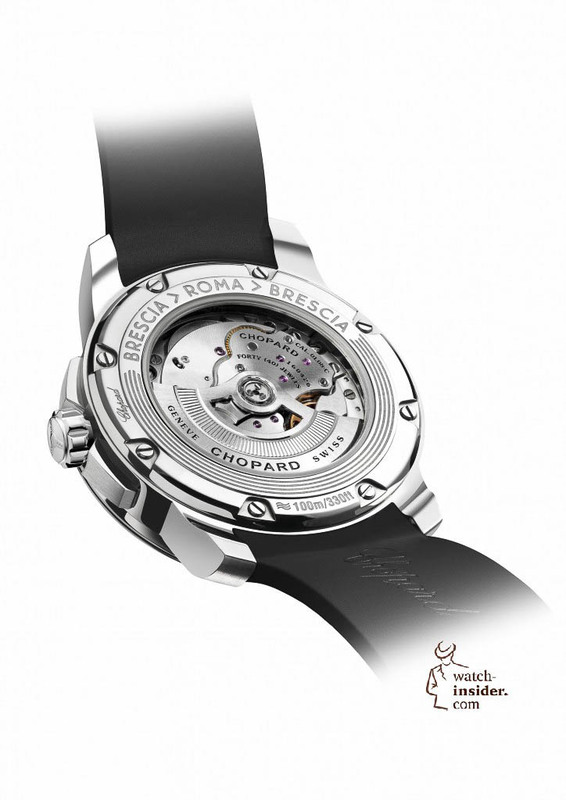 For the first time in the history of the Chopard Mille Miglia collection, the watches with in-house movements. 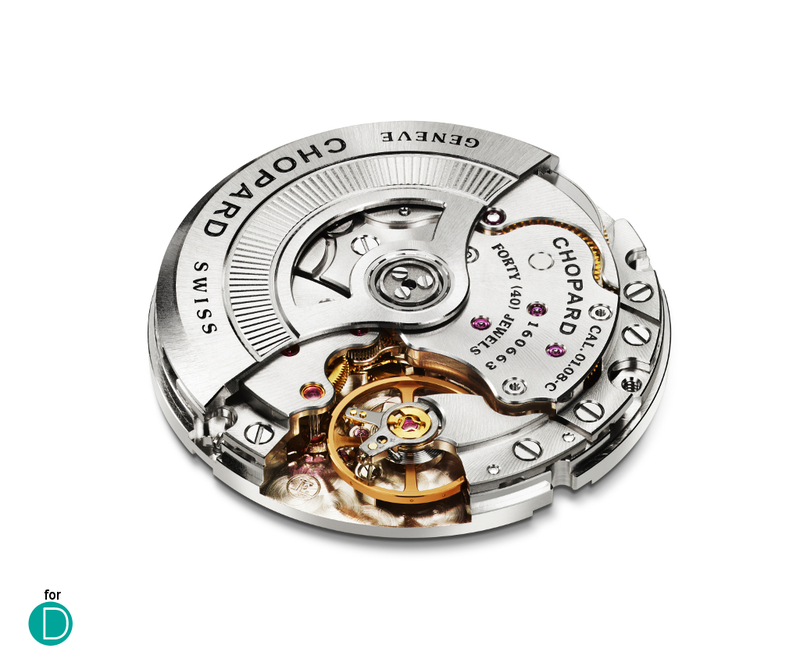 The caliber 01.08-C was developed directly in the manufacture of Fleurir Chopard and built. 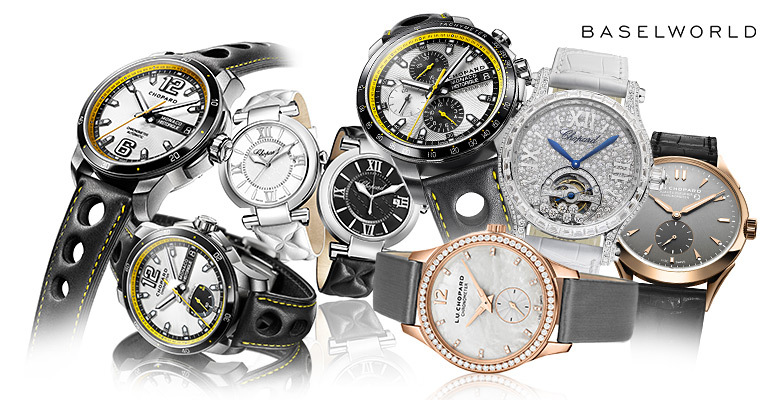 The watch is automatically wound up and is certified as a chronometer. It is that very exactly important run – for the participants of a car rally. The power reserve is quite generous with 60 hours – so it continues even after long periods of race. 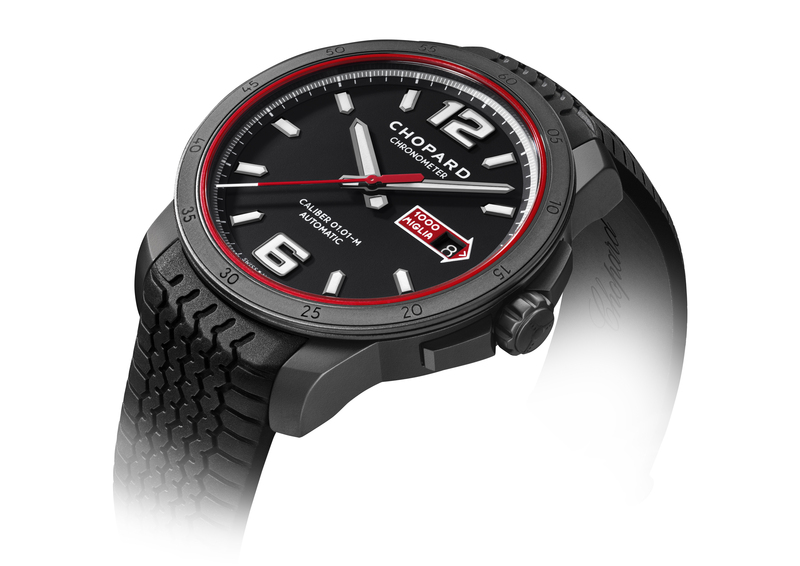 The bezel of the Mille Miglia GTS power control by Chopard is made from Black Aluminum and equipped with a scale. On the black dial, red-rimmed date window is found at nine o’clock, the power reserve is readable at the three o’clock position. It is a Visual homage to the fuel gauge of the cars from the 1950s. The indexes are up on the over sized numerals “6” and “12” rod-shaped, all are coated with light source, so that readability is given also in the dark. On the bottom are the “Mille Miglia” logos and “Brescia > Roma > Brescia” engraved – so no despite still rollicking mood forget what is the goal of the legendary vintage car rally. 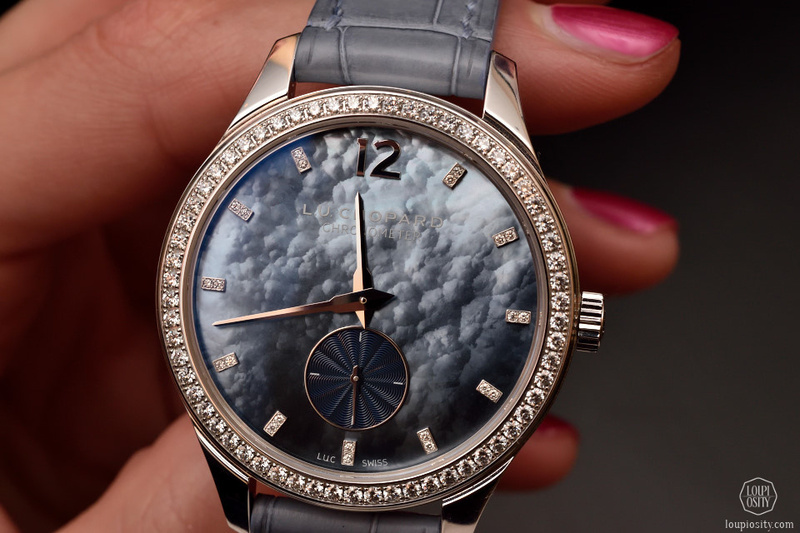 More watches of BASELWORLD 2015.